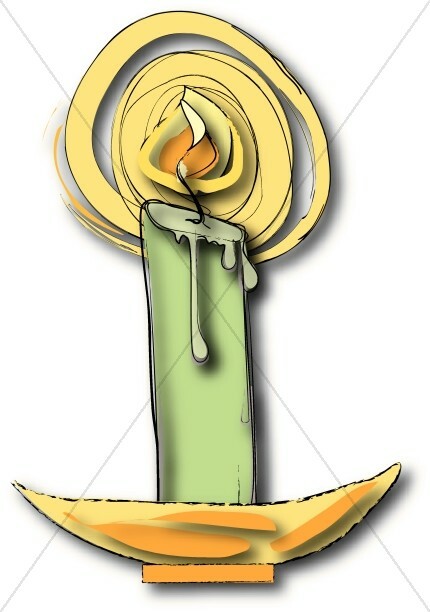 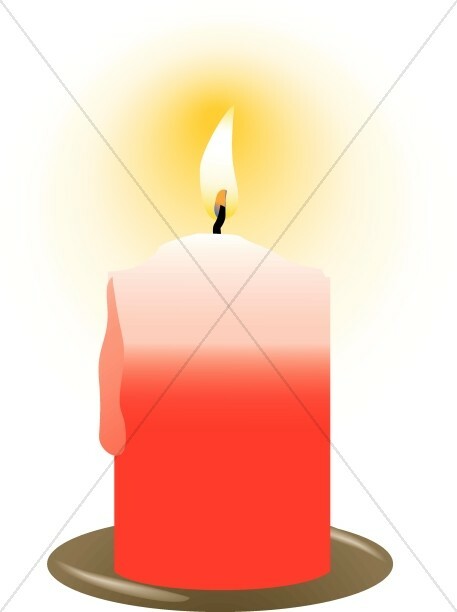 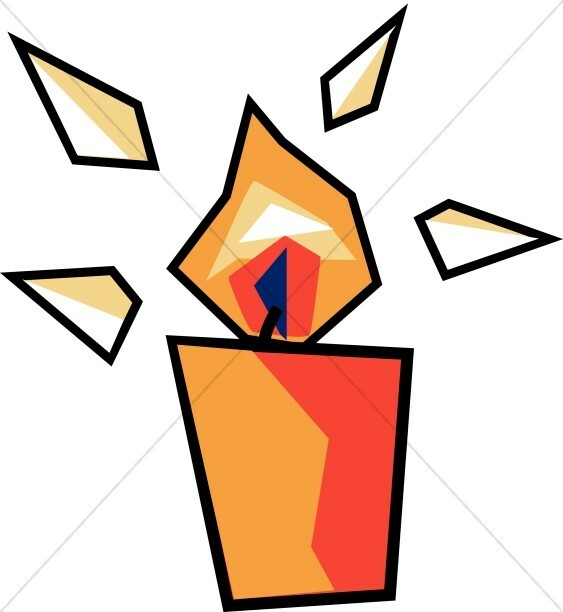 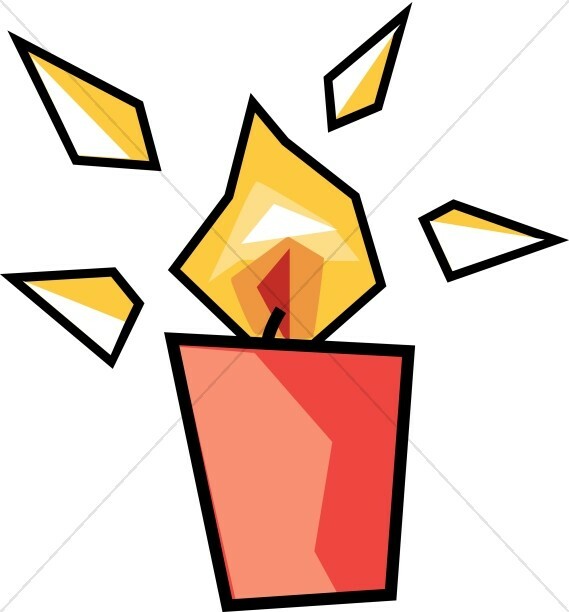 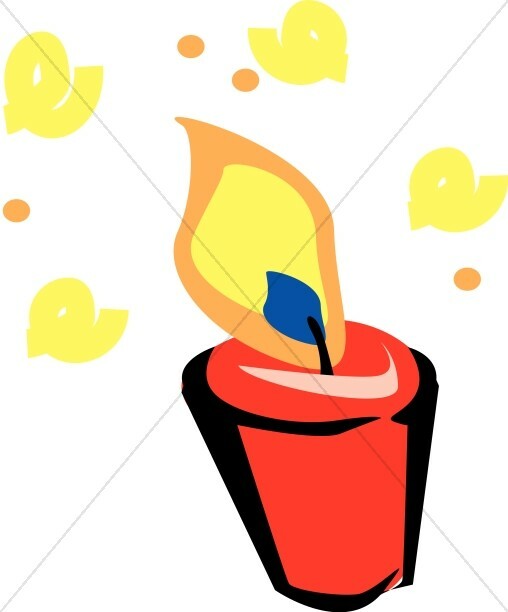 The Church Candle Clipart category at Sharefaith is home to some of the collection's most brightly-colored and "illuminating" imagery, perfect for holiday newsletters and candlelight service programs throughout the Christian year. 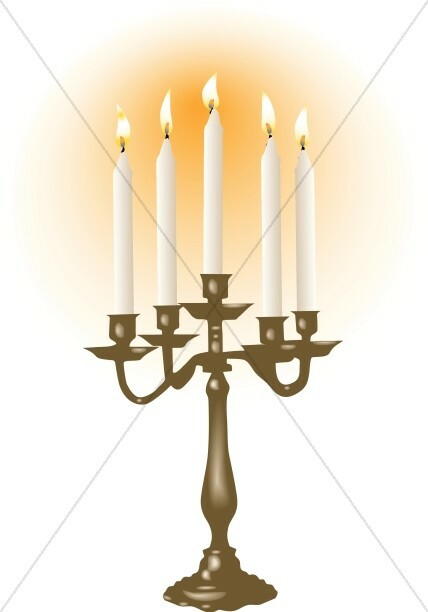 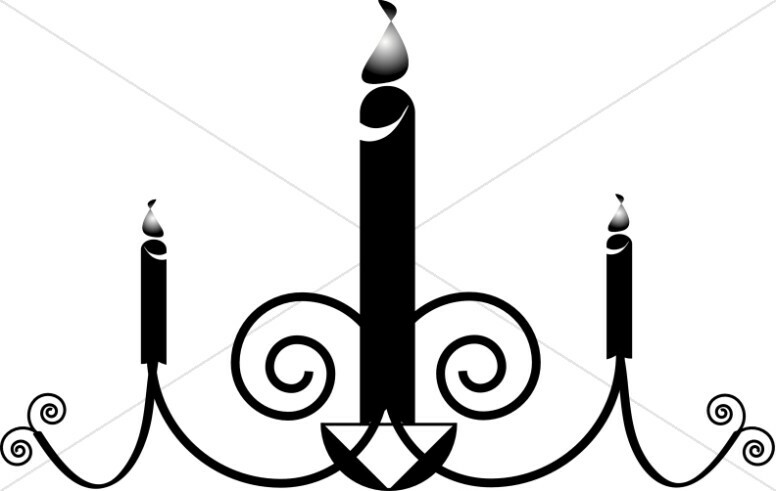 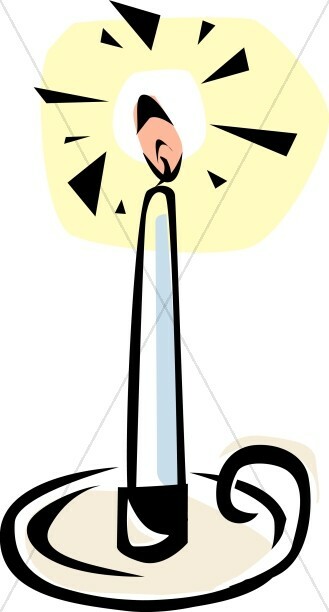 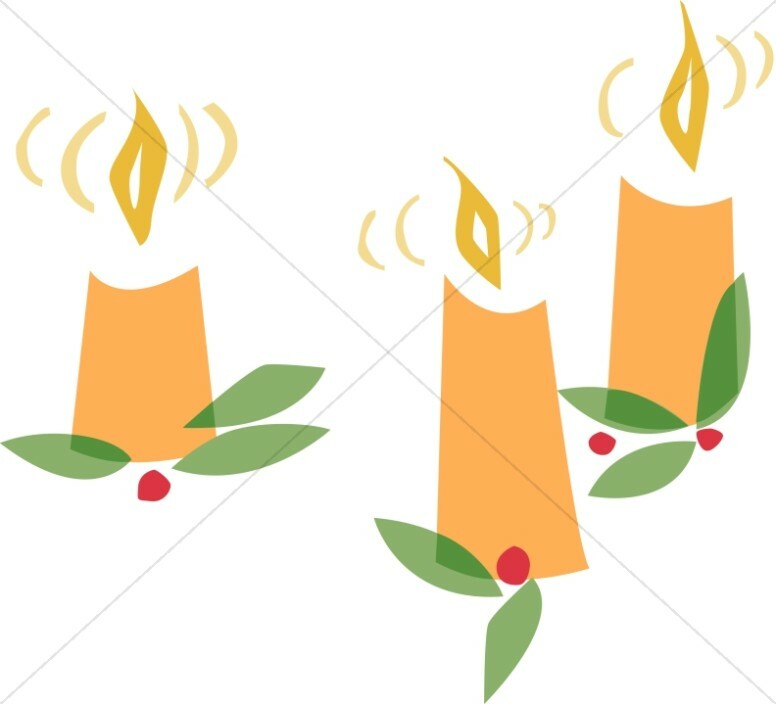 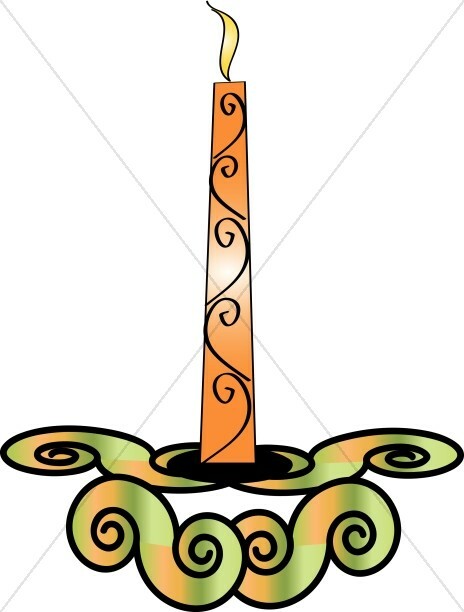 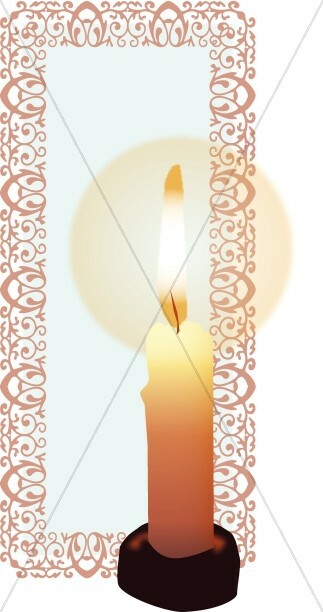 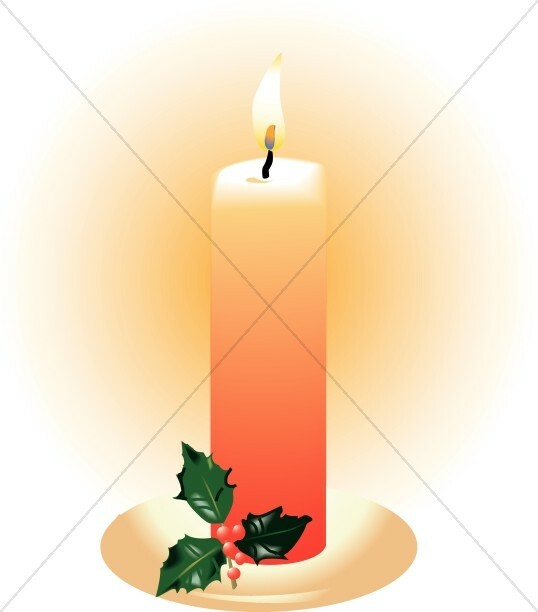 Illustrations of "a thousand points of light," cartoon candle clipart, borders, footers, and corners, lumiere candelabras and colorful, stylized candles featuring ivy are great for Christmas bulletins. 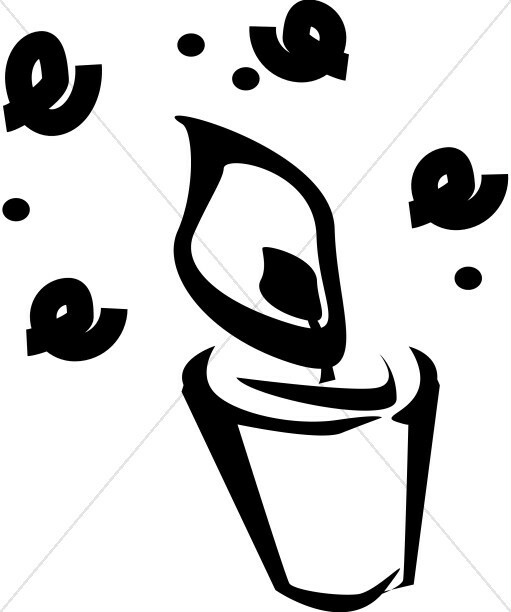 For candlelight services and peace vigils, Sharefaith offers candlelight service word art, votive candle clipart in a variety of styles and colors, and images of families and friends illuminated by the light of vigil candles. 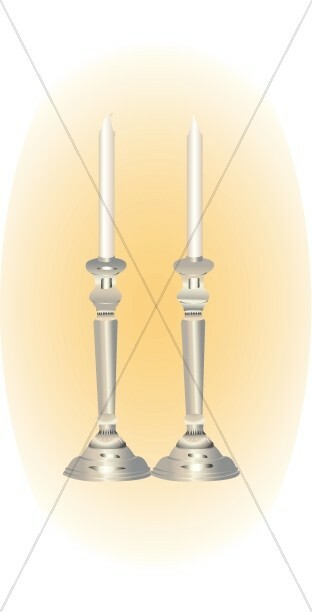 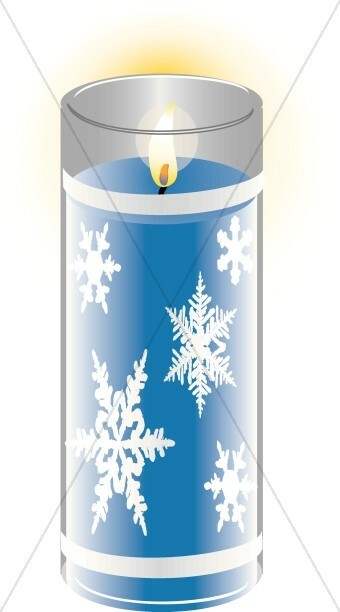 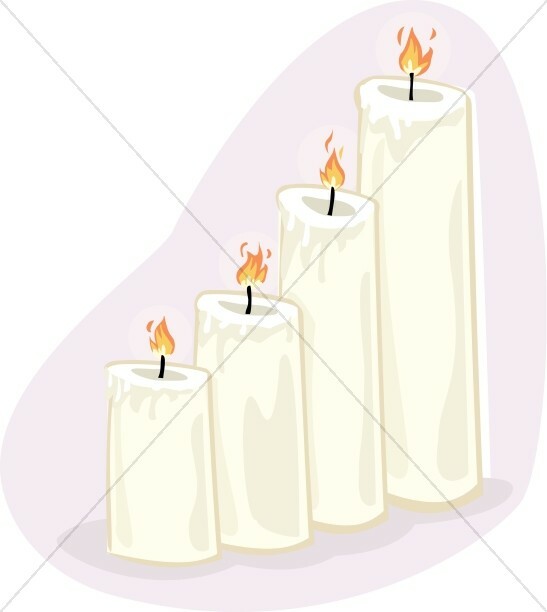 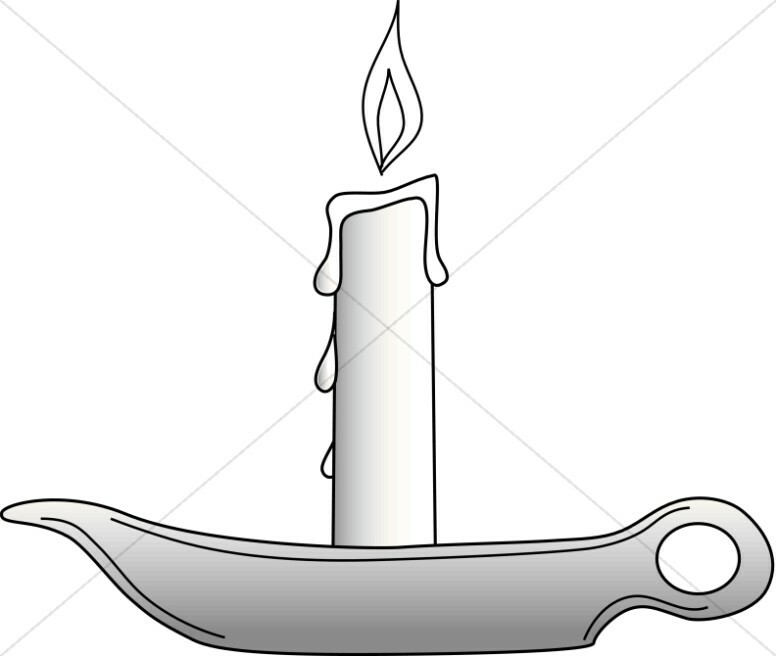 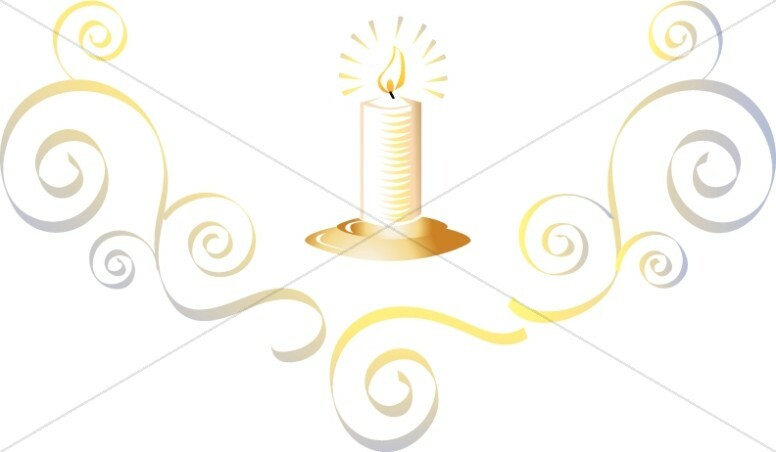 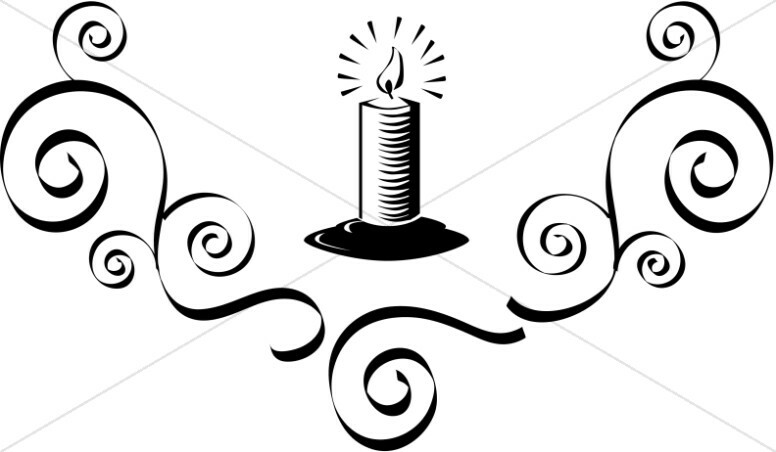 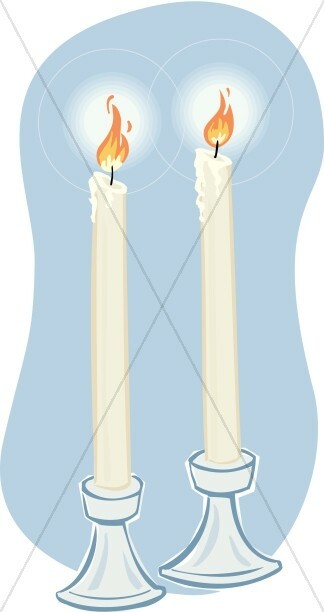 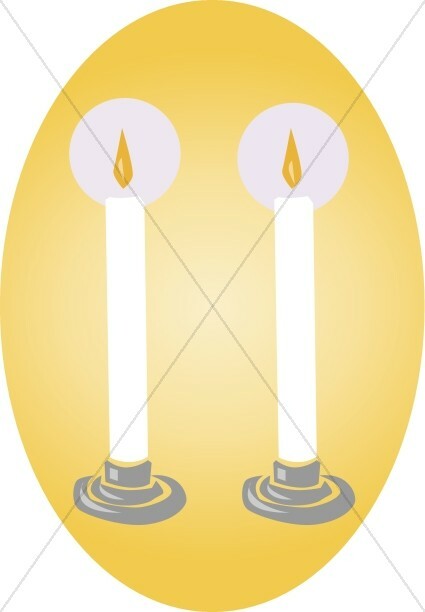 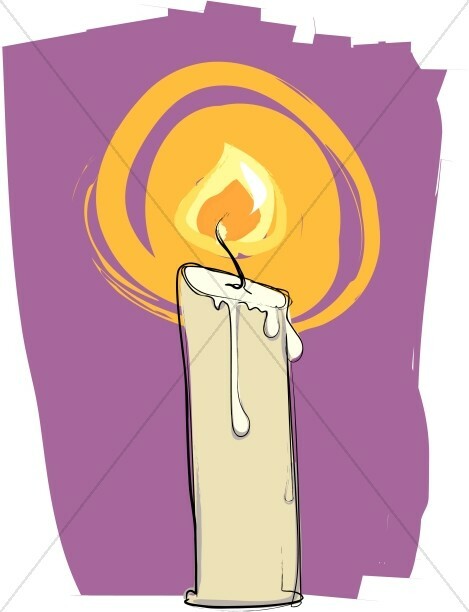 Those looking for candles for vespers will find beautiful white candle clipart on a lilac background, as well as candles atop long poles used for vesper services.